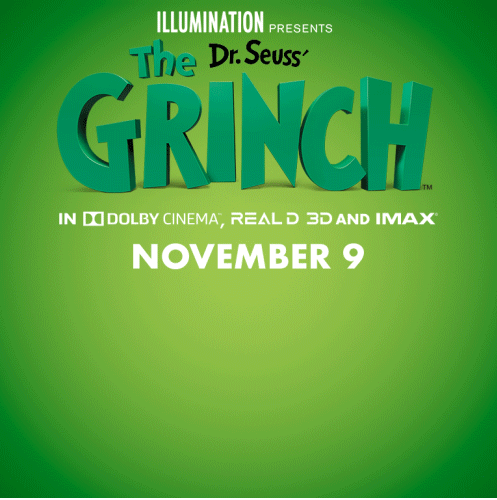 Dr. Seuss’ The Grinch is coming to theaters across the nation on November 9th! Win family 4 pack sneak peek tickets in St. Louis! 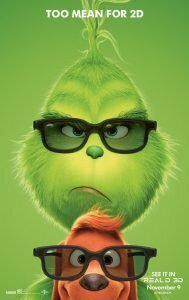 The Grinch narrated by Pharrell Williams and starring Benedict Cumberbatch and Angela Lansbury, comes to theaters across the nation on November 9th! I love me some Grinch, he is one of my favorite Christmas time characters. So you can imagine I am super excited to see this film! Well, guess what? One of my readers in the St. Louis area WILL get a chance to see this film early!! I am giving away tickets to attend the screening in St. Louis Tuesday, November 6th! Remember, this is ONLY for readers in the St. Louis area! Remember, these tickets are ONLY good in St. Louis onTuesday, November 6th, at the AMC Creve Coeur 12 at 7:00PM. Please comment below for an entry, we will have multiple entries!! Good luck! !